Like its name promises, this large space makes you feel like you're dancing the summer away on Ibiza. This sh**hole is all about bottle service! 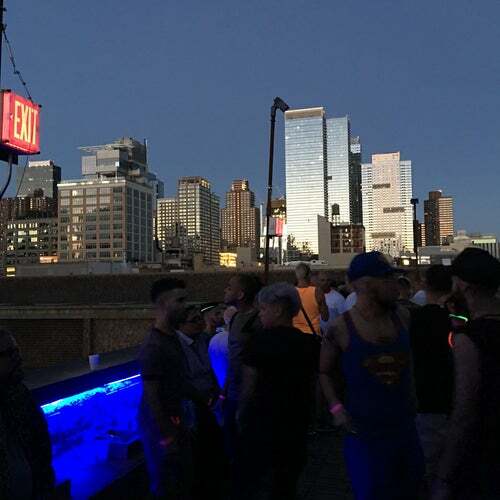 Maybe that's part of the reason gay nightlife in NYC is dying, too many pretentious gays who are arrogant,thinking they are more important and superior than they actually are! That said,this is a full on straight club. I've heard plenty of horror stories from straight friends and read plenty of bad reviews all over the web about this place! This club is all about one thing and one thing only, MONEY! Real club life in New York City is dead! The last REAL club we gays had was the ROXY,everything today is an all out disappointment! Viva Saturdays is the only relevant GO TO party! Straight clubs were never fun to begin with,however,they've gotten much worse within the past 7 years! This is a HUGE venue with an awesome VIP area, place to chat and chill, plus enormous dance space. Everything you'd want in a real club!